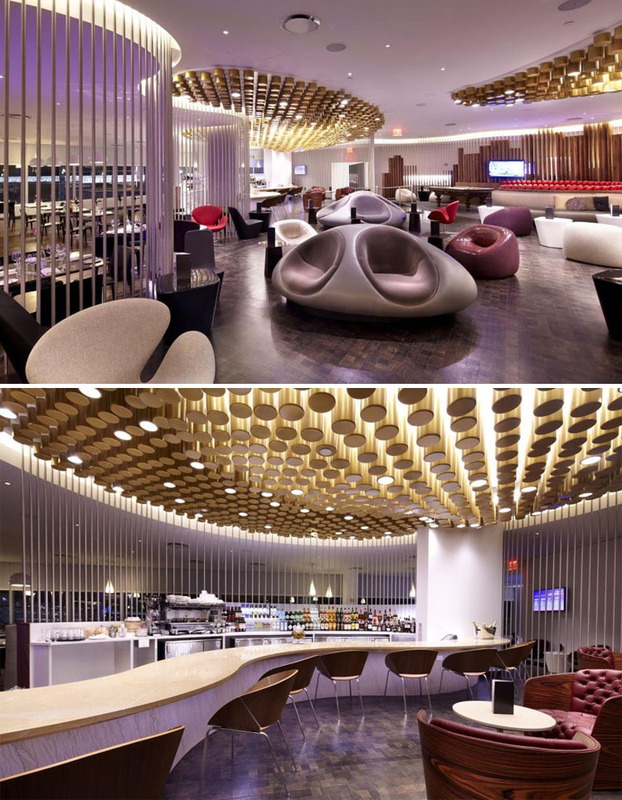 Virgin Atlantic’s new JFK Clubhouse – designed by our good friends James and Hayes Slade of Slade Architecture – opened yesterday at JFK International Airport here in NYC. The 10,000 square foot lounge includes a beautiful curvy bar, cool seating such as the also curved, oversized, custom-made flame red ball sofa, and a large maple wood and burgundy billiards table in the ‘Entertainment Zone’. 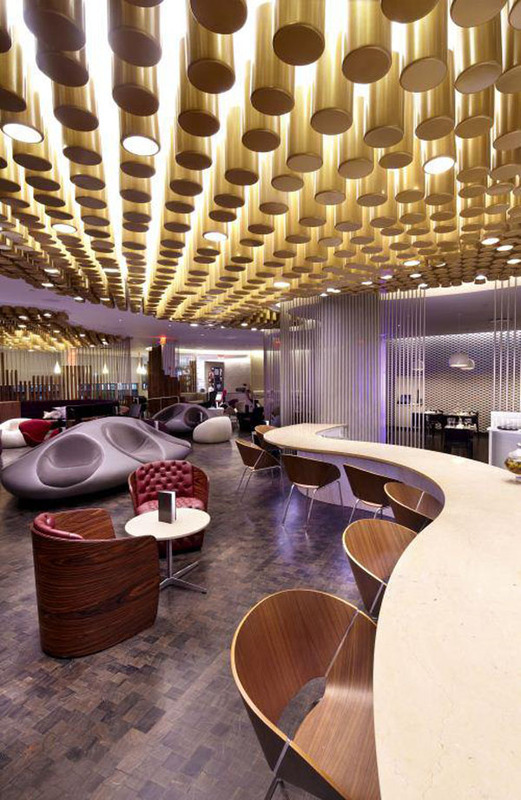 Bumble and Bumble has opened their first US airport salon and spa as part of the Clubhouse, as well. Slade Architecture have a slew of great projects under their belt (many of them award winning) and an impressive range to boot; from residential to commercial, educational to cultural…plus furniture and product design, to boot! Below are some of our recent favorites, but you should really visit their website to see much more. Top three photos: Barbie Flagship Store in Shanghai; second from bottom: Pup Tent; bottom left: Diffa Installation (discarded furniture covered in duct tape); bottom right: East 67th Street Bathroom. This entry was posted in Architecture, Industrial Design, Just Plain Cool, NYC, Pop Culture, Stuff We Like. Bookmark the permalink. Love the do house! I spent some time in the old Virgin Clubhouse and JFK and will be interested to see the new one. For me they have a 1960s feel and are great fun. That said, I don’t know how Virgin can justify the $10m they spent on the ungrade, plus the millions of dollars a year to rent the space, when it is only used by a small proportion of its passengers on three flights a day.